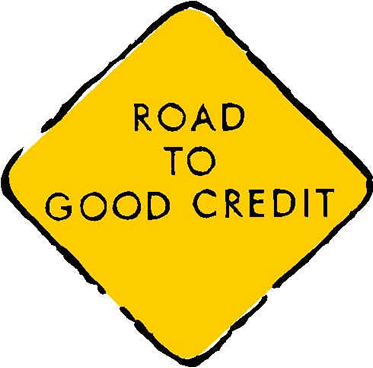 Credit has become an indispensable part of our lives. Whether it’s buying a house, car, renting an apartment, or applying for student loans, our background information is studied and appropriate credit score assigned to us. It is difficult to think that we are subject to some computer application that will determine whether or not we receive a loan for a dream home or how much we will end up paying for that loan, but this is a crude reality of our times. Any unfortunate life event can push us into the high “risk” category and although it’s impossible to predict those events, we can take preventive steps that will help to mitigate any negative impact on our finances. Amounts owed – 30% – compares amount you owe to the total amount of credit available. Length of credit history – 15% – more data gives better insight into your payment history, the longer you’ve had a particular credit card, the better; opening new credit cards frequently has a negative effect on that number. New credit – 10% – many new credit cards may indicate potential distress and lower your score; don’t apply for new credit if not necessary. Types of credit used – 10% – mix of different debt types is good; revolving credit, installment loans, home loans, or retail credit will boost your score. We tend to buy items on credit on daily basis, pay credit cards, and make car payments and service other debt. Each of these actions affects our credit score. It is then correct to say that everyday we manage our credit without even realizing it. Because it appears so trivial, we don’t pay much attention to it, yet our credit score affects so much our financial health and future. Check your credit report – You should do that at least once a year, if it’s not out of curiosity, do it out of prevention; stolen identity is a growing problem and only by checking your credit score, you will be able to discover if there is anything suspicious in your report and take corrective actions. Pay your bills on time – This is very important yet so many individuals make late payments; for once, it’s very expensive as banks usually charge penalties and start charging interest; get on top of that by setting payment alerts or automatic payments; if you cannot afford to pay your balance in full, make sure to make at least a minimum payment on time. Maintain steady employment –This will come into consideration when applying for a big ticket items i.e. home loan as banks always analyze employment history and wages; are you jumping from job to job or stay longer at each company; are your earnings steady and predictable or go up and down with every new job; answers to those questions can sway lending institution into granting you a loan or not and on what conditions. Use your credit actively but don’t go over the limit – You should also remember to purchase what you can afford and pay your balance in full before the due date; interest on unpaid portion is very high by any measures, if not handled with caution can push you into long-term financial troubles. As you can see there are many activities to manage in order to stay on top of your finances. To tie them all together, you should know exactly where and when your money is going and when to expect income payments. If you only have one credit card and no other payments pending, it is easy to coordinate that with your rent, utilities, and paycheck to make sure you have enough cash flow to cover all obligations. Once you start using more credit cards and other forms of debt, and have several cash inflows and outflows, you may want to look into available software that allows you to coordinate all that. Popular options include Quicken or Mint that allow you to keep all your finances under one umbrella. Quicken is more sophisticated and lets you plan and experiment with your debt repayment options and even combine business and personal finance.